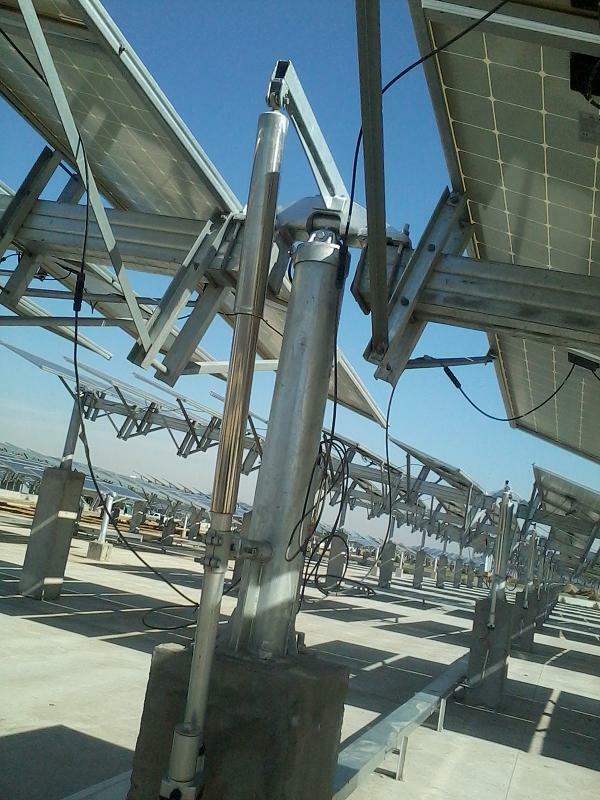 Product categories of Solar Tracking Actuators, we are specialized manufacturers from China, Solar Tracking Actuators, Linear Actuator For Solar Tracker suppliers/factory, wholesale high-quality products of Solar Tracking Linear Actuator R & D and manufacturing, we have the perfect after-sales service and technical support. Look forward to your cooperation! 1.Precise positioning:inside the Tracking System Actuator,there is built-in Potentiometer,which ensure the actuator can act by Potentiometer signal. 2.Water-proof:The protected degree of our actuator for solar tracker can be IP66 or much higher. 3.Low maintenance:The quality of our tracking system actuator is good,which reduce the maintenance problems of linear actuator.Also,our Solar Tracking Linear Actuator can have a long-time life under correct use,which can help our client to save maintenance cost.